Tell me, what did you do last night? You drown, you die, you drown, you die. Last Good Tooth came together like many bands do… as teenagers, smoking grass and aping their favorite band of the moment in their parents' garages across the country. In the case of Last Good Tooth, that band was the Black Keys which is a bit shocking once you hear the first notes of Not Without Work and Rest trickle through your speakers. You see, the band is stunning when it comes to melodies, at carving out a line with a guitar that leads you straight into the first lyric of the songs while at the same time invoking some sort of strange Gordon Gano-ish Appalachian voodoo. Well before the sessions for their debut were underway, word of their spirited live shows reached the offices of Team Love Records in New Paltz, NY. The band eventually dropped in on the sleepy Hudson Valley town and shook things up at the local dive bar, leading the room full of inebriated youth into a singalong of a Michael Hurley song. Later they played alongside an abandoned thespian camp to a field of hedonists and swimming-hole experts. All of this left a strong impression on the folks at Team Love, and the plans for their debut album took root. 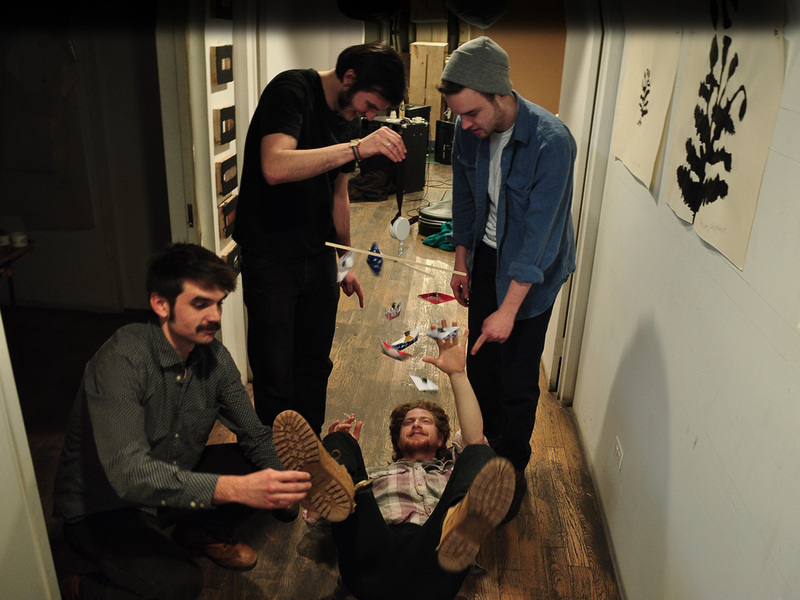 Last Good Tooth formed in Providence, RI and is currently based in New York State. The band is made up of Penn Sultan (Guitars), Kevin Sullivan (Bass), Arthur Kapp (Drums), and Alex Spoto (Fiddles) Not Without Work and Rest was released on May 28th, 2013 on Team Love Records.